high-level waste and spent reactor fuel. He analyzes the equally complex and divisive question of fuel "reprocessing." He weaves reliable research with fresh insights about nuclear science, geology, politics, and public administration, making this original and authoritative account an essential guide for understanding the continuing controversy over an illusive and emotional topic. 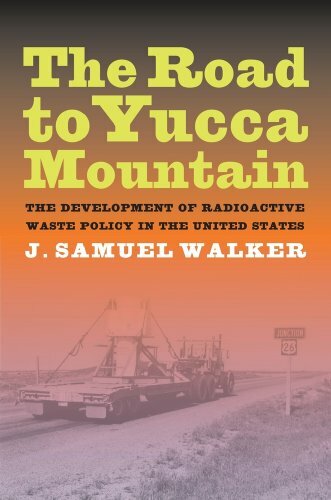 J. Samuel Walker, historian of the U.S. Nuclear Regulatory Commission, has published six other books on the history of American foreign policy and the history of nuclear energy. A "Huge and Ever-Increasing Problem"
Commercial Low-Level Waste: A "Once Low Priority Matter"